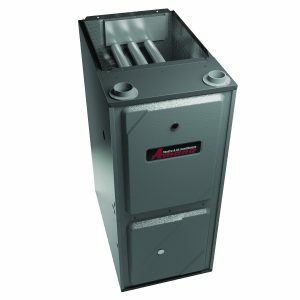 The new stainless-steel, tubular primary heat exchanger now featured in Amana gas furnaces is a worthy replacement for our esteemed MillionAir® heat exchanger. Perhaps the most essential component in a gas furnace’s performance, this re-engineered heat exchanger employs wrinkle bend technology to deliver extraordinary durability and long-term reliability. To truly seal the deal, Amana furnaces are backed by industry leading limited warranties. The majority of Amana gas furnaces are backed by a Lifetime Unit Replacement Limited Warranty, while all Amana gas furnaces feature a 10-Year Parts Limited Warranty, with Online Product Registration. Together these warranties combine to offer you a level of purchase protection that’s the stuff of legend. Amana Home Heating Products qualify for various Government & Utility Rebate Programs, but be sure to check with us for periodic Amana Promotions for additional savings.